The Hudud nightmare moves on after a firm statement from ISMA's President, Ustaz Abdullah Zaik Abdul Rahman about the implementation of Hudud to the non muslims, as it is implemented to the muslims in Malaysia. This statement creates a wave of tensions among the non muslims and muslims, as they blatantly said that the statement is baseless and without a concrete dalīl. As to this, I made a quick check for the refer case of Tatbīq Al-Hudud alal Kuffār (Implementation of Hudud to the non muslim). Please note that this is a quick analysis that I made during my tight schedule of the final examination. I hope this entry could answer some arguments casted by all the people. Should this entry could not answer them, please refer to the kitāb and religious scholars that we have around. Imam Ibn Qudāmah narrated in his kitab, Al-Mughni, "It is wājib (obligatory) for the muslims to judge according to the Hudud if the Zimmi (Kāfir who is under the protection of the Islamic State and accepting the rules of the Islamic Law except in their private religious affairs) seek a judgement (trial) from you (muslims), because it is our responsibility to save the zimmi from the oppressions of muslims and vice versa." In the mazhab (school of thought) of Hanbali, Imam Ahmad quoted that the zimmis are punished by the Hudud except in the crime of Asy-Syurb (drinking alcohols). This is according to the hadīth "روى ابن عمر: أن النبي صلى الله عليه وسلم أتي بيهوديين فجرا بعد إحصانهما فأمر بهما فرجما". (Narrated by Abdullah Ibn Umar, that Rasulullah was attended by two married Jews that committed adultery. Then the Prophet asked them to be stoned). In the mazhab of Maliki, Imam Malik quoted that the kuffār are punished by the Hudud for the criminals of As-Sariqah (robbery), Al-Qazaf (slandering a good person for committing adultery) and Al-Qatl (murder). While in the crime of Az-Zina (adultery), the criminal just took a disciplinary actions and will not be subjected according to the Hudud law. He also stated that there is no punishment for them in the drinking alcohols crime. Imam Syafie of the Syafie Mazhab quoted that the zimmis are subjected according to the Hudud law when they are proven guilty in the crime of adultery and robbery. While in drinking alcohols, there is exception as the act is allowed in their faith. Islam is a true religion from the true God Allah, surely He knows best for His creation. As Islam is a fair and just religion to all mankind, it never discriminates anyone including the non muslims. In my opinion, the non muslims should not scared nor frightened with the implementation of Hudud in the state, as long as they do not committed any of the crime listed. Imam Ibn Taimiyyah quoted in his book, Siyāsah Asy Syar'iyyah, "It should be known that the establishment of Hudud is a mercy of God towards His slaves. The governor (al-wālī) should judge firmly according to the Hudud, and take no mercy in the religion of Allah as it will interrupt the Deen. 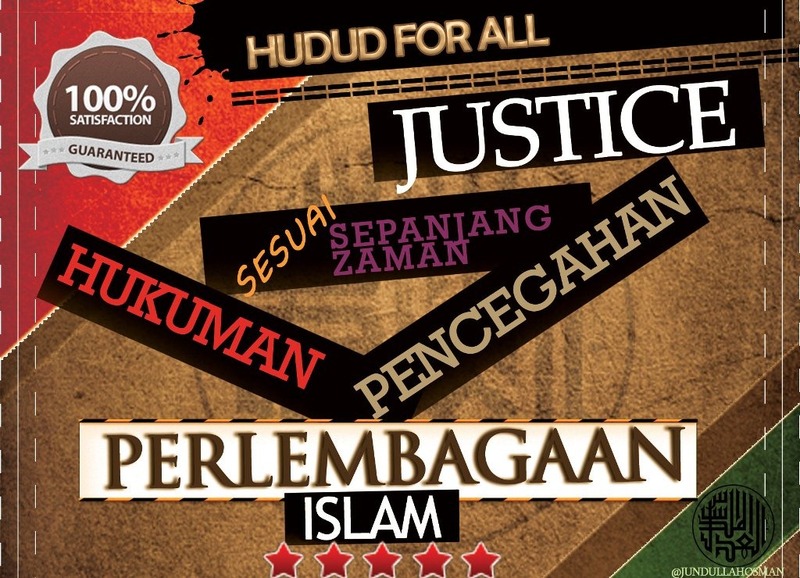 The establishment of Hudud also means as a mercy to the mankind and creations. By refraining mankind from crime, it will reduce anger within the society. It (Hudud) also means to uphold the prestige of mankind, as it is like the parents refrain things in order to discipline their children, while somtimes it is indicated that mercy and pity will mess up the children. The refraining is mercy towards them in a disciplinary method to reform their condition to the better."